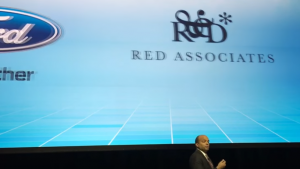 How well do you really know who your audience is? Getting your brand or your product and service connected to your audience is the key building block for any successful marketing strategy. The problem is audiences are becoming increasingly more complex to understand how and why they interact with your product (if at all) and the preferred channels, devices and daily routines they choose to take. This “always on” culture could be considered a “fog”, something we all need to navigate around and through. And because of this, it’s becoming ever more essential that to understand our audience better we need to be complimenting data analytics with more traditional qualitative methods. 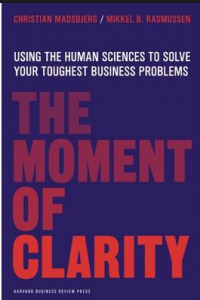 One of my favorite business books of 2016 was Moment of Clarity by Christian Madsbjerg and Mikkel Rasmussen of Red Associates. The book introduces a new type of “analytics” to consider, created through human sciences that can help companies get a better grasp of their audience, known as sense-making. Madsbjerg and Rasmussen challenge you to think deeper about your users assumptions which are guiding decisions today but what truly matters for your customers. They explain how to apply a human lens to solve business challenges and give a set of practical tools on how to unlock the essence of the human experience that a product or service is built on. It’s a refreshing alternative to understanding only the “what”, gleaned through quantitative data, but rather this approach trains you to better understand the “who” and the “why” as to the decisions users make. The techniques mentioned in the book date back hundreds of years but the authors have adapted them to alert the business world of the techniques of cultural anthropology and ethnographic research. Sense-making’s nonlinear problem-solving approach gives executives a better way to understand business challenges involving shifts in human behavior. The book focuses on case studies from some of the leading global brands who have adapted their research to include these new techniques such as LEGO and Samsung. Brands need to spend more time to get to know their audience and know what motivates their audience. There has been a growing trends for more focus groups, surveys, quantitative insights as well as assumptions leading the charge as to who and where an organisation is.